Bertram Fletcher Robinson pictured during the period of his editorship of Vanity Fair (c. 1906). Bertram Fletcher Robinson (22 August 1870 – 21 January 1907) was an English sportsman, journalist, author and Liberal Unionist Party campaigner. Between 1893 and 1907, he wrote nearly three hundred items, including a series of short stories that feature a detective called "Addington Peace". However, Robinson is perhaps best remembered for his literary collaborations with his friends Arthur Conan Doyle and P. G. Wodehouse. Bertram Fletcher Robinson (affectionately referred to as either 'Bobbles' or 'Bertie') was born on 22 August 1870 at 80 Rose Lane, Mossley Hill, Liverpool. In early 1882, he relocated with his family to Park Hill House at Ipplepen in Devon. 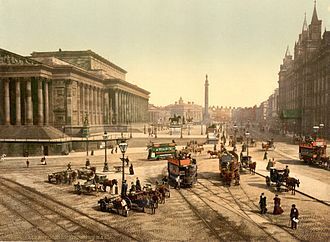 His father, Joseph Fletcher Robinson (1827–1903), was the founder of a general merchant business in Liverpool (c. 1867). 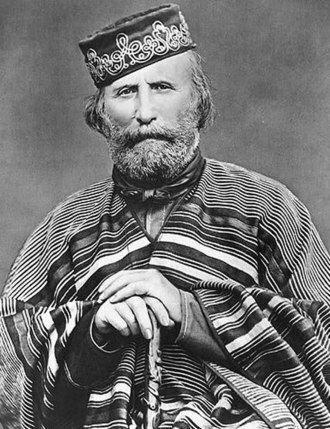 Around 1850, Joseph travelled to South America and was befriended by Giuseppe Garibaldi. Thereafter, he fought in the Guerra Grande alongside Garibaldi and the Uruguayans against the Argentine dictator, Juan Manuel de Rosas. Robinson's uncle, Sir John Richard Robinson (1828–1903), was the long-time editor-in-chief of the Daily News and a prominent committee member of the Liberal Reform Club. Bertram Fletcher Robinson was educated at Newton Abbot Proprietary College (1882–1890) and Jesus College, Cambridge (1890–1894). Other notable 'Old Newtonians' include the writer Sir Arthur Quiller-Couch and the explorer Lieutenant Colonel Percy Harrison Fawcett. Robinson won three Rugby Football Blues between 1891 and 1893 and, according to his obituary in the Daily Express (22 January 1907), he would have played for England but for an "accident". He also rowed for Jesus College and was a member of the team that won the Thames Challenge Cup at the Henley Royal Regatta on 7 July 1892. On 12 February 1894, The Times reported that Robinson was tried for the position of fourth oar with the Cambridge 'Trial Eight' ahead of the fifty-first annual Oxford and Cambridge Boat Race. Jesus College awarded Robinson with a Second Class History Tripos Bachelor of Arts degree (1893), Part I of the Law Tripos Bachelor of Arts degree (1894) and a Master of Arts degree (1897). 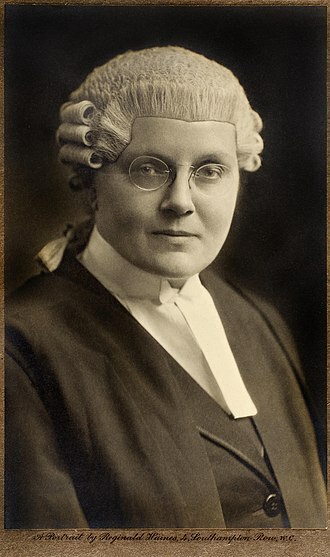 Robinson became a barrister in June 1896 but he never practised that profession. On 3 June 1902, 31‑year‑old Robinson married 22-year-old Gladys Hill Morris at St. Barnabas Church, Kensington, London. Gladys was a self-proclaimed 'actress' and a daughter of the noted Victorian artist Philip Richard Morris (1833–1902). The couple had no children of their own. However, the Robinsons acted as godparents to Geraldine Winn Everett, the daughter of Percy Everett. Bertram Fletcher Robinson held editorial positions with The Newtonian (1887–1889), The Granta (1893–1895), The Isthmian Library (1897–1901), Daily Express (July 1900 – May 1904), Vanity Fair (May 1904 – October 1906), The World, a journal for Men and Women (October 1906 – January 1907), and the Gentleman's Magazine (January 1907). Between 1893 and 1907, Robinson wrote or coauthored at least nine satirical playlets (including four with his friend, PG Wodehouse), fifty-four short stories (including seven with his friend, Sir Malcolm Fraser, 1st Baronet), four lyrics, forty-four articles (for fifteen different periodicals), one hundred and twenty-eight newspaper reports, twenty-four poems and eight books. He also edited eight books about various sports and pastimes for The Isthmian Library (1897–1901). In July 1900, Robinson and the creator of Sherlock Holmes, (Sir) Arthur Conan Doyle, 'cemented' their friendship while aboard a passenger ship that was travelling to Southampton from Cape Town. The following year, Robinson told Doyle legends of ghostly hounds, recounted the supernatural tale of Squire Richard Cabell III and showed him around grimly atmospheric Dartmoor. The pair had previously agreed to co-author a Devon-based story but in the end, their collaboration led only to Doyle's celebrated novel, The Hound of the Baskervilles. 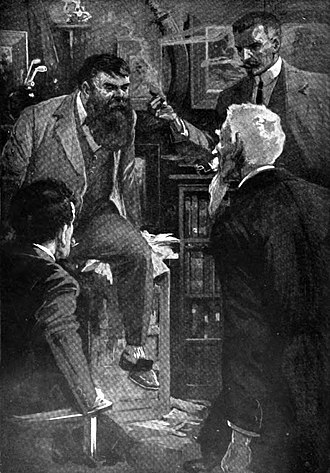 Robinson also contributed an idea to the plot of a Sherlock Holmes short-story entitled "The Adventure of the Norwood Builder", which was first published in Collier's Weekly on 31 October 1903. Doyle is sometimes seen as downplaying the importance of Robinson's contribution to The Hound of the Baskervilles. The literary scholar and critic, Professor William Wallace Robson wrote that it is 'impossible to determine' the precise extent of Robinson's role, but in all probability he merely acted as a 'creative trigger'. 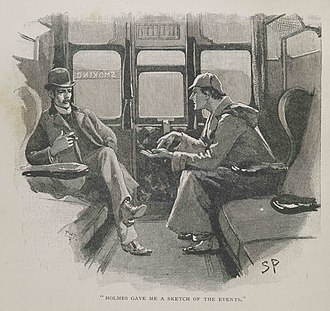 He adds that once the element of Sherlock Holmes was added to the original idea, the novel evolved beyond the joint project that was originally posited. Robinson himself conceded that his part in the collaboration was restricted to that of an 'assistant plot producer'. Bertram Fletcher Robinson died aged just 36 years and 153 days on 21 January 1907, at 44 Eaton Terrace, Belgravia, London. The official cause of his death is recorded as 'enteric fever (3 weeks) and peritonitis (24 hours)'. Others with a bent for the occult bizarrely attributed his death to a curse linked with an Egyptian artefact called the Unlucky Mummy. Robinson was buried beside his parents at St. Andrew's Church, Ipplepen, near Newton Abbot in Devon. Shall shield your passing to the other side. In love and gratitude and tender pride. We will not speak of tears or startled pain. Alfred Harmsworth employed Bertram Fletcher Robinson at the time of his death. At 4pm on Thursday 24 January 1907, The Reverend Septimus Pennington conducted a memorial service for Robinson at St. Clement Danes, Strand, London. 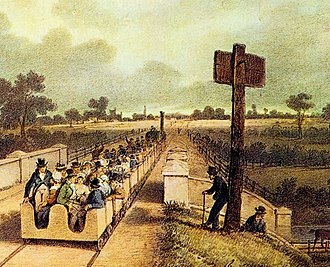 According to a report in the Daily Express newspaper (Saturday 26 January 1907), the congregation included the following notable figures: Arthur Hammond Marshall, Owen Seaman, Max Pemberton, Cyril Arthur Pearson, Percy Everett, Alfred Harmsworth, Joseph Lawrence, Sir Felix Sermon, Sir William Bell (former member of the British Iron Trade Association & tax-reform campaigner), Anthony Hope Hawkins, Clement King Shorter, Gerald Fitzgerald Campbell, Leslie Ward ('Spy'), Thomas Anstey Guthrie, Leonard Upcott Gill (journalist, author & publisher), Sir John Evelyn Leslie Wrench and Henry Hamilton Fyfe. The congregation sang a hymn entitled Peace, Perfect Peace. 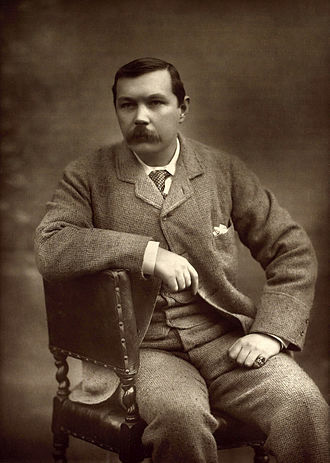 Sir Arthur Conan Doyle was unable to attend either the funeral or the memorial service because he was at that time, busily campaigning for the release from prison of one George Edalji. He did however send a floral tribute to the funeral service in Ipplepen with a message that read "In loving memory of an old and valued friend from Arthur Conan Doyle". In 1909, Gladys Robinson sold both Park Hill House and 44 Eaton Terrace and she then appears to have moved to continental Europe. During World War I, Gladys met Major William John Frederick Halliday (Distinguished Service Order), a Royal Artillery officer born in London in 1882 and affectionately referred to as "Fred". The couple got married at the British Diplomatic mission in Paris on 7 January 1918 and thereafter, they relocated to Henley-on-Thames in Oxfordshire. In October 1912, Conan Doyle's novel The Lost World was published. This story is narrated by a character named Edward E. Malone. It is possible that Malone is also partially modelled upon Robinson. Like Robinson, Malone was raised in the West Country, became an accomplished rugby union player, worked as a London-based journalist and loved a woman called Gladys. In 1951, Robinson's book entitled The Chronicles of Addington Peace (London: Harper & Brother, 1905) was listed in the influential Queen's Quorum: A History of the Detective-Crime Short Story as Revealed by the 106 Most Important Books Published in this Field Since 1845. In January 2009, Ipplepen Parish Council gave permission for a commemorative bench and plaque to be situated outside Caunters Close in Ipplepen. The inscription on the plaque reads as follows: 'Bertram Fletcher Robinson (1870–1907). Journalist, Editor, Author and former resident of Ipplepen. He assisted Arthur Conan Doyle with The Hound of the Baskervilles'. In June 2010, Brian Pugh, Paul R. Spiring and Sadru Bhanji had a book published that is entitled Arthur Conan Doyle, Sherlock Holmes and Devon. This book contends that the success of Sherlock Holmes is partly attributable to Bertram Fletcher Robinson and two other former Devon residents called George Turnavine Budd and George Newnes. On 1 September 2011, Short Books Ltd. released a novel entitled The Baskerville Legacy by John O'Connell. The book presents a highly fictionalised account of the circumstances that led Arthur Conan Doyle and Bertram Fletcher Robinson to conceive The Hound of the Baskervilles. ^ "Fletcher Robinson & Rugby". BFRonline.BIZ. Archived from the original on 31 August 2009. Retrieved 24 July 2009. ^ "Introducing Fletcher Robinson". BFRonline.BIZ. Retrieved 24 July 2009. ^ Robinson, B. Fletcher. 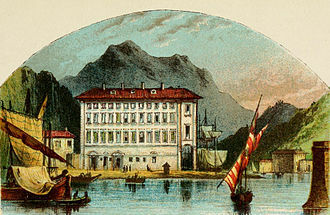 "viaLibri". viaLibri. Retrieved 24 July 2009. ^ "A website which commemorates the life & works of Bertram Fletcher Robinson (1870–1907)". BFRonline.BIZ. Retrieved 24 July 2009. ^ "Further details about Joseph Fletcher Robinson (1827–1903)". BFRonline.BIZ. Retrieved 24 July 2009. ^ "Meade-King, Robinson & Co. Ltd. – Homepage of the firm that was founded by Joseph Fletcher Robinson". Mkr.co.uk. Retrieved 24 July 2009. ^ "Further details about Sir John Richard Robinson (1828–1903)". BFRonline.BIZ. Retrieved 24 July 2009. ^ "Robinson, Bertram Fletcher (RBN890BF)". A Cambridge Alumni Database. University of Cambridge. ^ "Further details about Mrs. B. Fletcher Robinson (1879–1946)". BFRonline.BIZ. Retrieved 24 July 2009. ^ a b "BFRonline.BIZ". BFRonline.BIZ. Retrieved 24 July 2009. ^ "B. Fletcher Robinson Bibliography" (PDF). Retrieved 24 July 2009. ^ "Further details about ''Evil Hugo Baskerville'' & Squire Richard Cabell III (1622–1672)". BFRonline.BIZ. Retrieved 24 July 2009. ^ "B. Fletcher Robinson & Sherlock Holmes". BFRonline.BIZ. Retrieved 24 July 2009. ^ "''The Sherlock Holmes Journal'' (Vol 29, No 2, p. 49)". Sherlockholmes.ning.com. 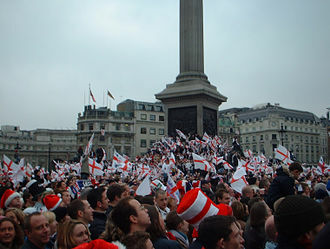 8 July 2009. Archived from the original on 14 July 2011. Retrieved 24 July 2009. ^ "ViewFinder – Image Details". Viewfinder.English-heritage.org.uk. Retrieved 24 July 2009. ^ "Arthur Hammond Marshall". AbeBooks. Retrieved 24 July 2009. ^ "Laryngologists books". Thecyberconxion.com. Retrieved 24 July 2009. ^ "Clement King Shorter". AbeBooks. Retrieved 24 July 2009. ^ "Henry Hamilton Fyfe". Spartacus.schoolnet.co.uk. Retrieved 24 July 2009. ^ "Fletcher Robinson, Pemberton & Doyle". BFRonline.BIZ. Archived from the original on 16 March 2010. Retrieved 24 July 2009. ^ "Wheels of Anarchy by Max Pemberton". Retrieved 22 December 2010. ^ "Mrs. B. Fletcher Robinson (1879–1946)". BFRonline.BIZ. Retrieved 24 July 2009. ^ "Further details about the links between Arthur Conan Doyle, ''The Lost World'' & Devon". BFRonline.BIZ. Archived from the original on 25 June 2009. Retrieved 24 July 2009. ^ See both Ellery Queen & "Queen's Quorum – Complete Checklist". Classiccrimefiction.com. Retrieved 24 July 2009. ^ ""Caunters Close" "Ipplepen" – Google Maps". Maps.google.com. 1 January 1970. Retrieved 24 July 2009. ^ http://www.ipplepenparishcouncil.gov.uk/Uploads/Site890/Files/jan.09.doc and "BFRMemorialSeat&PlaqueIpplepenEdit – The Sherlock Holmes Social Network". Sherlockholmes.ning.com. 18 June 2009. Retrieved 24 July 2009. ^ Turpin, Adrian (23 September 2011). "The Baskerville Legacy". Financial Times. Archived from the original on 26 October 2012. Southampton, on the south coast of England, is the largest city in the ceremonial county of Hampshire. It is 75 miles south-west of London and 19 miles north-west of Portsmouth, Southampton is a major port and the closest city to the New Forest. It lies at the northernmost point of Southampton Water at the confluence of the Rivers Test and Itchen, the city, which is a unitary authority, has an estimated population of 253,651. The citys name is abbreviated in writing to Soton or Soton. Significant employers in the city include the University of Southampton, Southampton Solent University, Southampton Airport, Ordnance Survey, BBC South, Southampton has a large shopping centre and retail park, Westquay. In 2014, the city approved a follow-up from the Westquay park, WestQuay Watermark. This built-up area is part of the area known as South Hampshire. 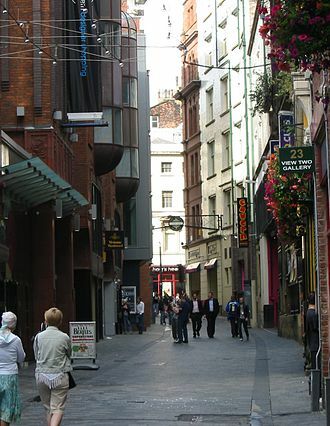 With a population of over 1.5 million this makes the one of the United Kingdoms most populous metropolitan areas. 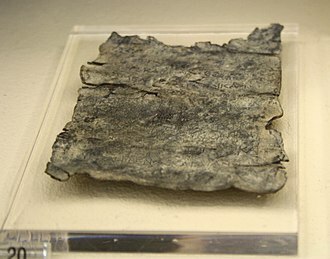 Archaeological finds suggest that the area has been inhabited since the stone age, following the Roman invasion of Britain in AD43 and the conquering of the local Britons in 70 AD the fortress settlement of Clausentum was established. It was an important trading port and defensive outpost of Winchester, Clausentum was defended by a wall and two ditches and is thought to have contained a bath house. Clausentum was not abandoned until around 410, the Anglo-Saxons formed a new, settlement across the Itchen centred on what is now the St Marys area of the city. 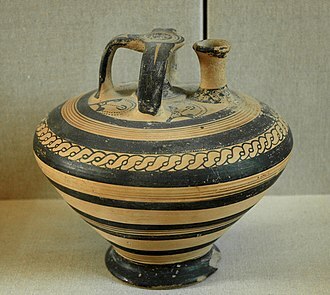 The settlement was known as Hamwic, which evolved into Hamtun, archaeological excavations of this site have uncovered one of the best collections of Saxon artefacts in Europe. It is from this town that the county of Hampshire gets its name, viking raids from 840 onwards contributed to the decline of Hamwic in the 9th century, and by the 10th century a fortified settlement, which became medieval Southampton, had been established. Following the Norman Conquest in 1066, Southampton became the port of transit between the capital of England and Normandy. By the 13th century Southampton had become a port, particularly involved in the import of French wine in exchange for English cloth. Cape Town is a coastal city in South Africa. It is the second-most populous urban area in South Africa after Johannesburg and it is the capital and primate city of the Western Cape province. As the seat of the Parliament of South Africa, it is the capital of the country. It forms part of the City of Cape Town metropolitan municipality, the city is famous for its harbour, for its natural setting in the Cape Floristic Region, and for such well-known landmarks as Table Mountain and Cape Point. As of 2014, it is the 10th most populous city in Africa and it is one of the most multicultural cities in the world, reflecting its role as a major destination for immigrants and expatriates to South Africa. The city was named the World Design Capital for 2014 by the International Council of Societies of Industrial Design, in 2014, Cape Town was named the best place in the world to visit by both the American New York Times and the British Daily Telegraph. 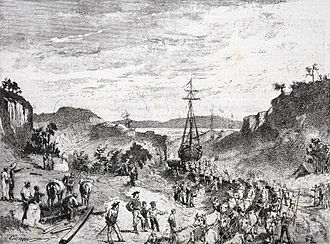 Located on the shore of Table Bay, Cape Town was first developed by the Dutch East India Company as a station for Dutch ships sailing to East Africa, India. 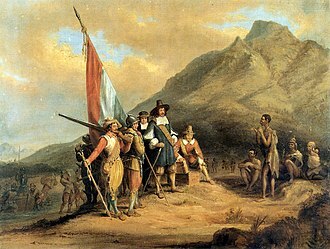 Jan van Riebeecks arrival on 6 April 1652 established the first permanent European settlement in South Africa, Cape Town quickly outgrew its original purpose as the first European outpost at the Castle of Good Hope, becoming the economic and cultural hub of the Cape Colony. 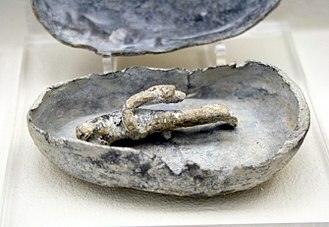 Until the Witwatersrand Gold Rush and the development of Johannesburg, Cape Town was the largest city in South Africa, the earliest known remnants in the region were found at Peers Cave in Fish Hoek and date to between 15,000 and 12,000 years ago. It was renamed by John II of Portugal as Cape of Good Hope because of the optimism engendered by the opening of a sea route to India. 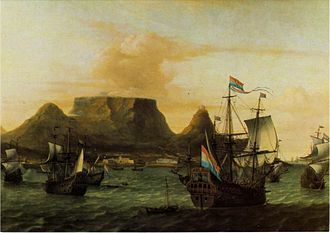 Vasco da Gama recorded a sighting of the Cape of Good Hope in 1497, in the late 16th century, French, Danish and English but mainly Portuguese ships regularly stopped over in Table Bay en route to the Indies. They traded tobacco and iron with the Khoikhoi in exchange for fresh meat, the settlement grew slowly during this period, as it was hard to find adequate labour. Newton Abbot is a market town and civil parish on the River Teign in the Teignbridge District of Devon, with a population of 25,556. Newton Abbot holds a historic Cheese and Onion Fayre in honour of Saint Leonard, it was held from 5 to 7 November. The town grew rapidly in the Victorian era as it was home to the South Devon Railway locomotive works. This became a steam engine shed and was retained to service British Railways diesel locomotives. The town has a nearby, the most westerly racecourse in Britain. Traces of Neolithic people have found at Berrys Wood Hill Fort near Bradley Manor. This was a hill fort that enclosed about 11 acres. Milber Down camp was built before the 1st century BC and was briefly occupied by the Romans. The remains of a Norman motte-and-bailey castle, known as Castle Dyke, are on Highweek Hill, a village grew up around the castle, first called Teignwick, and Highweek – the village on the high ground. Another settlement developed on the low ground around the River Lemon, the New Town of the Abbots was given the right to hold a weekly market on Wednesdays sometime between 1247 and 1251. By 1300 the two settlements were renamed as Newton Abbot and Newton Bushel, on the strength of the market it quickly became a successful thriving town and a good source of income for the Abbots. Over the river on the Highweek side another weekly market was created and this one ran on Tuesdays and, because the Bushel family were the landowners this community, became known as Newton Bushel. Over the next 200 years Newton Bushel ran more annual fairs, a number of mills were set up, Newton Bushel was a convenient place for travellers to stay. Torre Abbey was dissolved in 1539 and ownership of Wolborough was granted to John Gaverock who built himself a new house at Forde, the twin markets of Newton Abbot and Newton Bushel continued until they were merged in 1633 as a Wednesday weekly market under the ownership of Bradley Manor. By 1751 there was a smaller Saturday market and three annual fairs—a cattle fair on 24 June, a cheese and onion fair in September, the markets continued to expand so in 1826 a new market was built. Sir Pelham Grenville Wodehouse KBE was an English author and one of the most widely read humorists of the 20th century. Born in Guildford, the son of a British magistrate based in Hong Kong, Wodehouse spent happy years at Dulwich College. 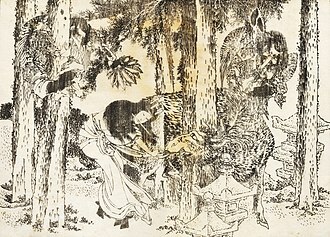 After leaving school he was employed by a bank but disliked the work and his early novels were mostly school stories, but he switched to comic fiction, creating several regular characters who became familiar to the public over the years. Although most of Wodehouses fiction is set in England, he spent much of his life in the US and used New York and Hollywood as settings for some of his novels and short stories. During and after the First World War, together with Guy Bolton and Jerome Kern and he began the 1930s writing for MGM in Hollywood. In a 1931 interview, his revelations of incompetence and extravagance at Hollywood studios caused a furore. In the same decade, his career reached a new peak. In 1934 Wodehouse moved to France for tax reasons, in 1940 he was prisoner at Le Touquet by the invading Germans. After his release he made six broadcasts from German radio in Berlin to the US, the talks were comic and apolitical, but his broadcasting over enemy radio prompted anger and strident controversy in Britain, and a threat of prosecution. From 1947 until his death he lived in the US, taking dual British-American citizenship in 1955 and he was a prolific writer throughout his life, publishing more than ninety books, forty plays, two hundred short stories and other writings between 1902 and 1974. He died in 1975, at the age of 93, in Southampton, Wodehouse worked extensively on his books, sometimes having two or more in preparation simultaneously. He would take up to two years to build a plot and write a scenario of about thirty thousand words, after the scenario was complete he would write the story. Early in his career he would produce a novel in three months, but he slowed in old age to around six months. Some critics of Wodehouse have considered his work flippant, but among his fans are former British prime ministers, the Wodehouses, who traced their ancestry back to the 13th century, belonged to a collateral branch of the family of the earls of Kimberley. Jesus College is a constituent college of the University of Cambridge, England. 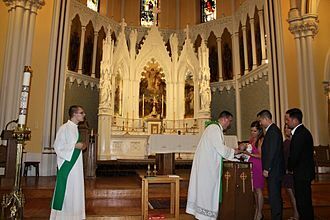 The colleges full name is The College of the Blessed Virgin Mary, Saint John the Evangelist and its common name comes from the name of its chapel, Jesus Chapel. Jesus College was established between 1496 and 1516 on the site of the twelfth-century Benedictine nunnery of St Mary and St Radegund by John Alcock, the cockerel is a symbol of Jesus College, after the surname of its founder. Three members of Jesus College have received a Nobel Prize, two fellows of the college have been appointed to the International Court of Justice. Notable alumni include Thomas Cranmer, Samuel Taylor Coleridge, Lord Reid, Lord Toulson, Sir Rupert Jackson, Sir David Hare, Jesus College has assets of approximately £243m making it Cambridge’s third wealthiest college. The college is known for its particularly expansive grounds which include its sporting fields, ian White, current van Eck Professor of Engineering in the university, has been master of Jesus College since 2011. Founded at the beginning of the 12th century, Jesus Chapel is the oldest university building in Cambridge still in use, when founded in 1496, the college consisted of buildings taken over from the Nunnery of St Mary and St Radegund. This included the chapel and the attached to it, the nuns’ refectory, which became the college hall, and the former lodging of the prioress. This set of remains the core of the college to this day and this accounts for its distinctly monastic. A library was added, and the chapel was considerably modified and reduced in scale by Alcock. At its foundation, the college had a master, six fellows, the college offers a wide range of scholarships. The college consistently performs well in the informal Tompkins Table, which ranks Cambridge colleges by undergraduate results, along with students from Trinity, Christs and St Johns, students of the college have been members of the Cambridge Apostles. The main entrance to Jesus College is a passage known as the Chimney. The term is derived the Middle French word chemin, for path or way, the Chimney leads directly to the Porters Lodge and into First Court. Sherlock Holmes is a fictional private detective created by British author Sir Arthur Conan Doyle. All but one are set in the Victorian or Edwardian periods, though not the first fictional detective, Sherlock Holmes is arguably the most well-known, with Guinness World Records listing him as the most portrayed movie character in history. Auguste Dupin is generally acknowledged as the first detective in fiction and served as the prototype for many that were created later, Conan Doyle once wrote, Each is a root from which a whole literature has developed. Where was the story until Poe breathed the breath of life into it. Conan Doyle repeatedly said that Holmes was inspired by the figure of Joseph Bell, a surgeon at the Royal Infirmary of Edinburgh. Like Holmes, Bell was noted for drawing conclusions from minute observations. However, he wrote to Doyle, You are yourself Sherlock Holmes. Sir Henry Littlejohn, Chair of Medical Jurisprudence at the University of Edinburgh Medical School, is cited as an inspiration for Holmes. Littlejohn, who was Police Surgeon and Medical Officer of Health in Edinburgh, One is thought to be Francis Tanky Smith, a policeman and master of disguise who went on to become Leicesters first private detective. Another might be Maximilien Heller, by French author Henry Cauvain and it is not known if Conan Doyle read Maximilien Heller, but in this 1871 novel, Henry Cauvain imagined a depressed, anti-social, cat-loving, and opium-smoking Paris-based detective. Details about Sherlock Holmess life, except for the adventures in the books, are scarce in Conan Doyles original stories, mentions of his early life and extended family paint a loose biographical picture of the detective. An estimate of Holmess age in His Last Bow places his year of birth at 1854 and his parents are not mentioned in the stories, although Holmes mentions that his ancestors were country squires. In The Adventure of the Greek Interpreter, he claims that his grandmother was sister to the French artist Vernet, without clarifying whether this was Claude Joseph, Carle. 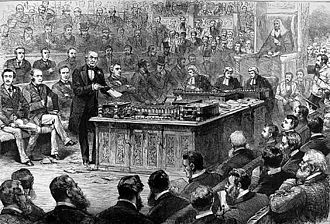 A barrister is a type of lawyer in common law jurisdictions. Barristers mostly specialise in courtroom advocacy and litigation and their tasks include taking cases in superior courts and tribunals, drafting legal pleadings, researching the philosophy and history of law, and giving expert legal opinions. Often, barristers are recognised as legal scholars, Barristers are distinguished from solicitors, who have more direct access to clients, and may do transactional-type legal work. It is mainly barristers who are appointed as judges, and they are hired by clients directly. In England and Wales, barristers may seek authorisation from the Bar Standards Board to conduct litigation and this allows a barrister to practise in a dual capacity, fulfilling the role of both barrister and solicitor. A barrister, who can be considered as a jurist, is a lawyer who represents a litigant as advocate before a court of appropriate jurisdiction, a barrister speaks in court and presents the case before a judge or jury. In some jurisdictions, a barrister receives additional training in law, ethics. In contrast, a solicitor generally meets with clients, does preparatory and administrative work, in this role, he or she may draft and review legal documents, interact with the client as necessary, prepare evidence, and generally manage the day-to-day administration of a lawsuit. Barristers usually have particular knowledge of law, precedent. When a solicitor in general practice is confronted with a point of law. In most countries, barristers operate as sole practitioners, and are prohibited from forming partnerships or from working as a barrister as part of a corporation, barristers normally band together into chambers to share clerks and operating expenses. Some chambers grow to be large and sophisticated, and have a corporate feel. In some jurisdictions, they may be employed by firms of solicitors, banks, in contrast and attorneys work directly with the clients and are responsible for engaging a barrister with the appropriate expertise for the case. The Uruguayan Civil War, known in Spanish as the Guerra Grande, was a series of armed conflicts between the leaders of Uruguayan independence. 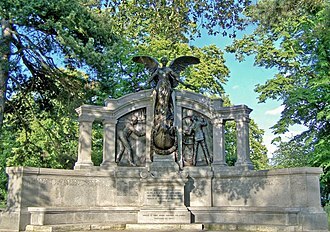 While officially the war lasted from 1839 until 1851, it was a part of armed conflicts that started in 1832 and continued until the final military defeat of Blancos in 1904. As the population of Uruguay at that time was about 60,000 out of which 15,000 lived in Montevideo, in June 1832 Lavallejas supporters attempted to kill Rivera and on July 3 Montevideo garrison revolted, calling for Lavalleja to be made Commander-in-Chief. Rivera, with the help of Argentine Unitarians defeated Lavalleja on September 18,1832 at Tupambaé, there Lavalleja organized a new force with the support of Buenos Aires strongman Juan Manuel de Rosas and in March 1834 invaded Uruguay, just to be defeated by Rivera once again. 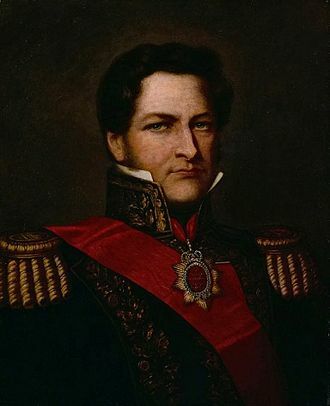 On March 1,1835 Manuel Oribe, another of the Thirty-Three Orientals, was elected as the second President of Uruguay while Rivera remained as the commander of Army. Oribe pursued his own policies and in January 1836 removed Rivera from the command, on July 16,1836 Rivera rebelled against Oribe. To distinguish his soldiers, Oribe ordered them to wear a white armband, Rivera ordered his supporters to wear blue, but as it quickly faded, they started using red armbands. Out of these military distinction marks quickly emerged the conservative Blancos, in order to support Oribe, Lavalleja organized an army in Argentina and moved against Rivera, who was helped by Argentine Unitarians led by General Juan Lavalle. On September 19,1836 Rivera was defeated at the Battle of Carpintería and fled to Brazil, where his troops joined the newly proclaimed Riograndense Republic. With the help of this republic Rivera invaded Uruguay in 1837 and on October 22 defeated Oribes forces at the Battle of Yucutujá, unable to deploy land troops, France looked for allied forces to fight Buenos Aires strongman Juan Manuel de Rosas on their behalf. For this purpose they supported Fructuoso Rivera and helped him to defeat Oribe, on October 24,1838 Oribe resigned and fled to Buenos Aires, and Rivera assumed power. Colliers was an American magazine, founded in 1888 by Peter Fenelon Collier. 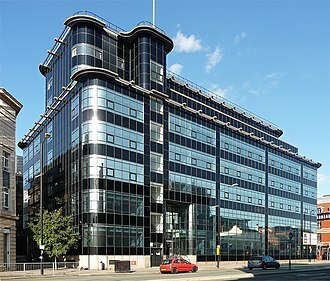 It was initially launched as Colliers Once a Week, changed in 1895 to Colliers Weekly, An Illustrated Journal, and finally shortened in 1905 to simply Colliers. The magazine ceased publication with the issue dated January 4,1957, though a brief, as a result of Peter Colliers pioneering investigative journalism, Colliers established a reputation as a proponent of social reform. When attempts by various companies to sue Collier ended in failure, Peter F. Collier left Ireland for the U. S. at age 17. Although he went to a seminary to become a priest, he started work as a salesman for P. J. Kenedy. When Collier wanted to boost sales by offering books on a plan, it led to a disagreement with Kenedy. P. F. Collier & Son began in 1875, expanding into the largest subscription house in America with sales of 30 million books during the 1900–1910 decade. With the issued dated April 28,1888, Colliers Once a Week was launched as a magazine of fiction, sensation, humor, news. It was sold with the biweekly Colliers Library of novels and popular books at bargain rates, by 1892, with a circulation climbing past the 250,000 mark, Colliers Once a Week was one of the largest selling magazines in the United States. The name was changed to Colliers Weekly, An Illustrated Journal in 1895, with an emphasis on news, the magazine became a leading exponent of the halftone news picture. To fully exploit the new technology, Collier recruited James H. Hare, Colliers only son, Robert J. Collier, became a full partner in 1898. By 1904, the magazine was known as Colliers, The National Weekly, when Robert Collier died in 1918, he left a will that turned the magazine over to three of his friends, Samuel Dunn, Harry Payne Whitney and Francis Patrick Garvan. The magazine was sold in 1919 to the Crowell Publishing Company, in 1924 Crowell moved the printing operations from New York to Springfield, Ohio but kept the editorial and business departments in New York. After 1924, printing of the magazine was done at the Crowell-Collier printing plant on West Main Street in Springfield, Ohio. Gauchos hunting feral horses. They served in the private army of Rosas. 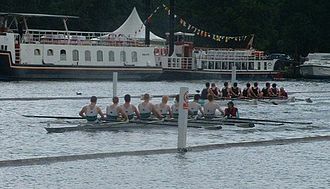 Cambridge at their stakeboat, just prior to the race's commencement, 2009. A model of Cape Town as it would have appeared in 1800. Holmes and Watson in a Sidney Paget illustration for "The Adventure of Silver Blaze"
This 1840s drawing depicts the Gallery above the club's Saloon at first floor level. Runners, ceramics, S. IV a.C. Athletes taking part in a race on a snowy park in the U.S.
Cambridge University Half Blue blazer and bow tie.